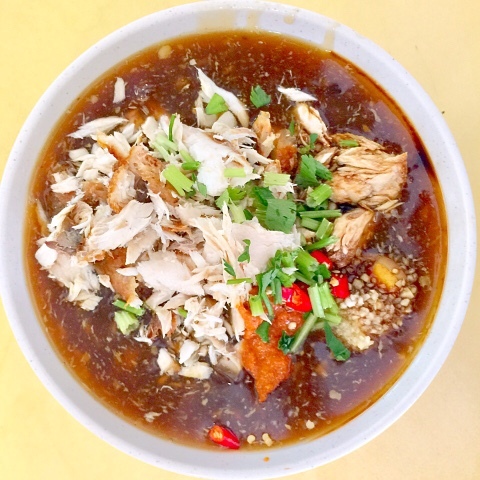 I have always wanted to try the legendary Xin Mei Xiang Lor Mee but every time I go to Old Airport Road Hawker Centre, the stall is closed. We have no yuan fen (fate). Today was no exception and it was already the third time. My Lor Mee craving had already kicked in and I had to look for the next best alternative - Xiang Ji Lor Mee. 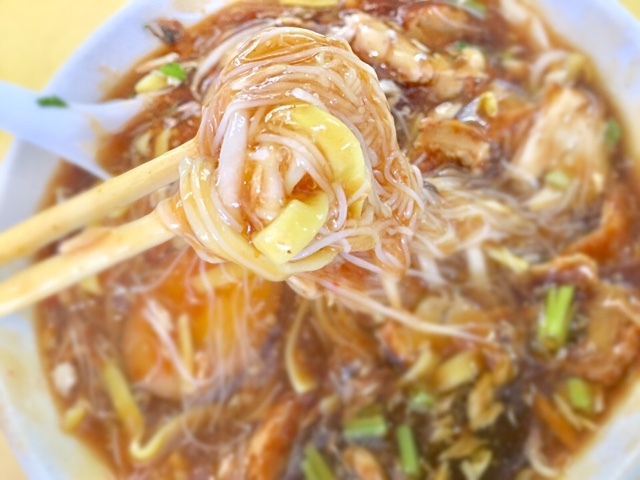 As I was walking down the row of stalls, I saw many people eating deliciously looking Lor Mee. I approached a friendly looking old couple and asked them where they had bought the delicious Lor Mee. They pointed to Xiang Ji. As I skipped to Xiang Ji, the friendly uncle said, "Xiang Ji ye bu cuo (not bad)!" Maybe he was also suffering from the same disappointment as me. When I reached Xiang Ji, I was dismayed. There was already a 10ish pax queue snaking! To queue or not to queue... that is the question. 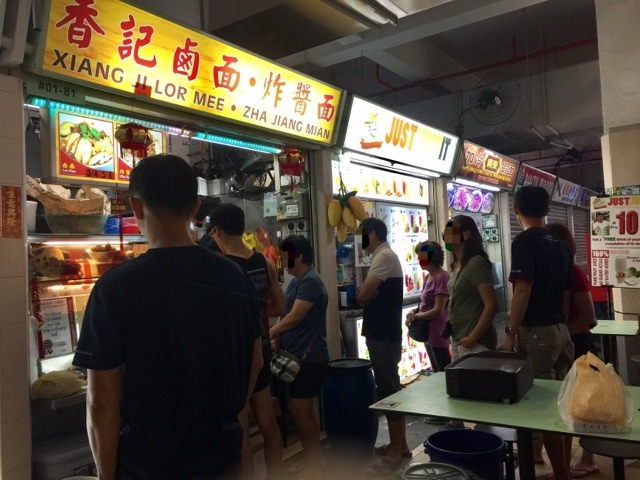 I decided to join the queue as I saw bowls of extremely appetising Lor Mee being bought by hungry patrons. Surprisingly, the queue took around only 20 minutes. I was expecting more than 30 minutes. I was delirious with hunger when I saw my bowl of Lor Mee presented to me. I even complimented the uncle who served me about how appetising the Lor Mee looked. He told me, "Shi Guo Cai Zhi Dao." So humble. I like. When I mixed all the ingredients with the sauce, I could not wait to taste it as the smell of the vinegary sauce was tempting me. The first few mouthfuls were very satisfying because I could taste the power from the vinegar, mixed with fish and yellow flat noodles. After a few mouthfuls, the sauce became more watery and I could taste that it was too sour. It needed more salt, more soya sauce, more garlic to balance the sourness. What I like about the fish was that it had some bits with crispy fragrance that helped to alleviate some of the sourness of the sauce. What I did not like was the sheer copious amount of fish compared to pork. I prefer Lor Mee with more braised soft pork belly or meat. The fish was dry and some of it had a fishy smell. There were only two small pieces of pork and it was as tough as leather. Now, I understand the fish to pork ratio. The fish was the celebrity. The pork was the calefare. I ordered Mi Fen Mian. The Mi Fen was overcooked and so soft that it was almost non-existent. The egg tasted delicious with the sauce. 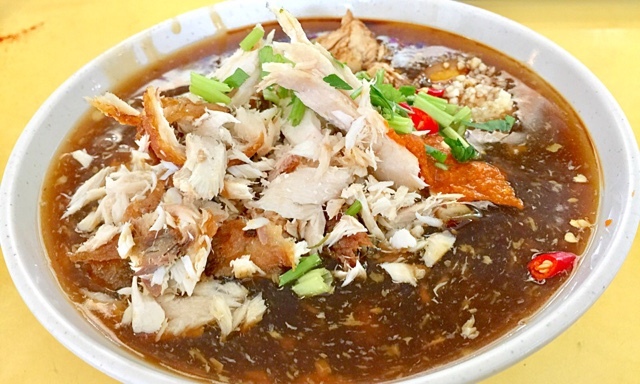 If Xin Mei Xiang Lor Mee is also a similar version, I think I still prefer the other type of Lor Mee - the well balanced sauce with deep fried crispy fish and soft braised meat. 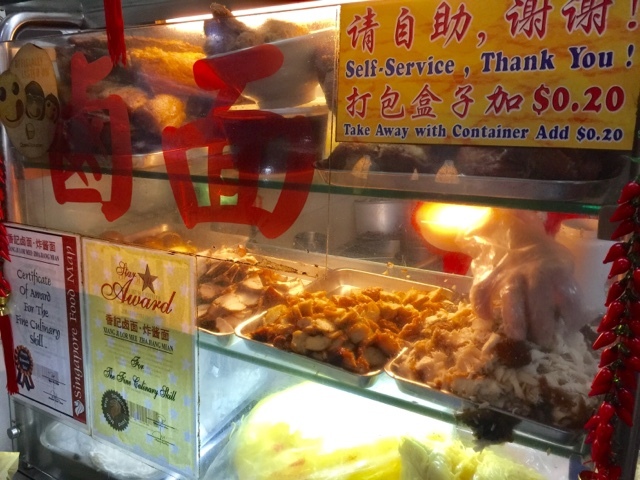 I blogged about Fu Hui Lor Mee before. (Click here for the post). Fu Hui Lor Mee serves the type that I like but I have a feeling that there are better ones out there. 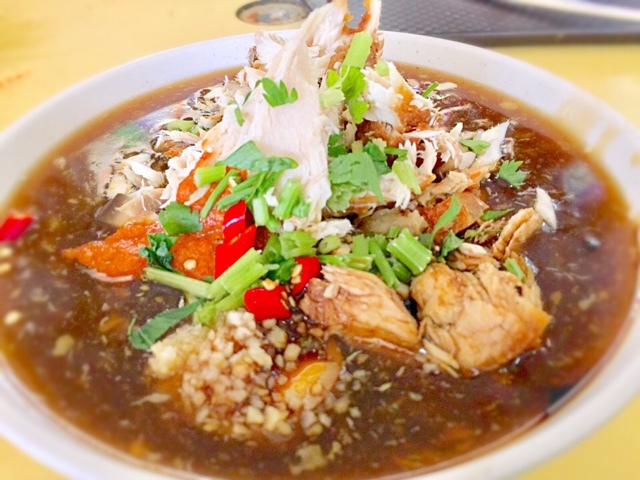 If you know of delicious Lor Mee, please leave your comments! The queue was long; the staff were trying their best and not pretending to be slow to lengthen the queue. They were effective and it was a moving queue. Judging from the number of bowls it has sold, I think it is definitely worth your try. A 15 pax queue was snaking at 10.45am.